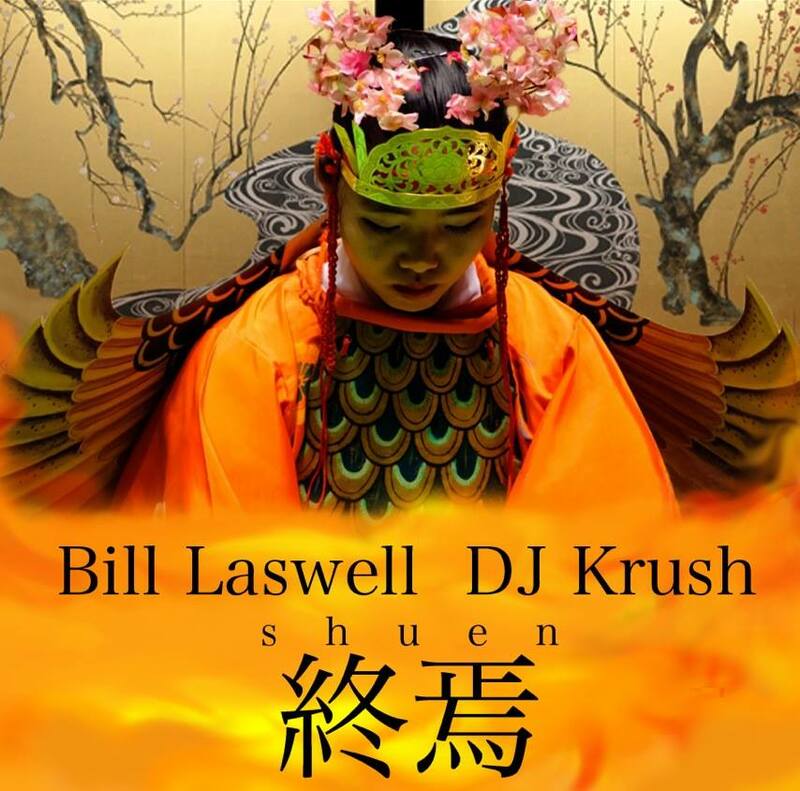 DJ Krush, Japan’s premier turntablist, meets bassist Bill Laswell in a clash of styles that is continents apart yet seamless in drift. Beginning in the catacombs of some untapped well, it traces a spelunk in reverse from the depths of an archaeological never-mind, through a lost civilization’s most active spirits, and into the light of a blinding day. Laswell traces a frame of ambience while samples of flute contort in the background and record scratches twitch like nervous ley lines. Traditional Japanese instruments make their presence known: shakuhachi, shō (mouth organ), and the pluck of a biwa. A breakbeat kicks open the portal to declarations of bass, while mouth organs continue to swirl inside the head of an inebriated ghost, for all a flock of birds exhaling fire. Words like mantras must be spoken before they tear apart the city, but instead drown when the record trips and falls into itself all over again. The title (終焉) may mean “demise,” but this single-track collaboration seeks only memory and rebuilding in the aftermath.